Linley and I recently gave this recipe a remake, by perfecting the creaminess and flavor. Since so many of you have flipped out with pure enjoyment over these so we thought we’d turn this easy, must-make recipe into a video! Why? 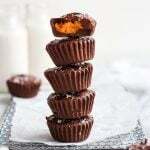 Because it’s legit the best peanut butter cup recipe I’ve ever tried and better yet, they’re made with real, whole ingredients! If you’re anything like me, it’s going to be hard to eat just one of these. I mean…peanut butter + chocolate = love and that’s just the truth. 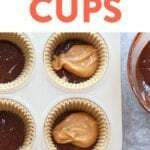 This recipe is amazing for so many reasons, but mostly because I love peanut butter cups. I’m totally the type of person that always needs something sweet after dinner and these for sure hit the spot. 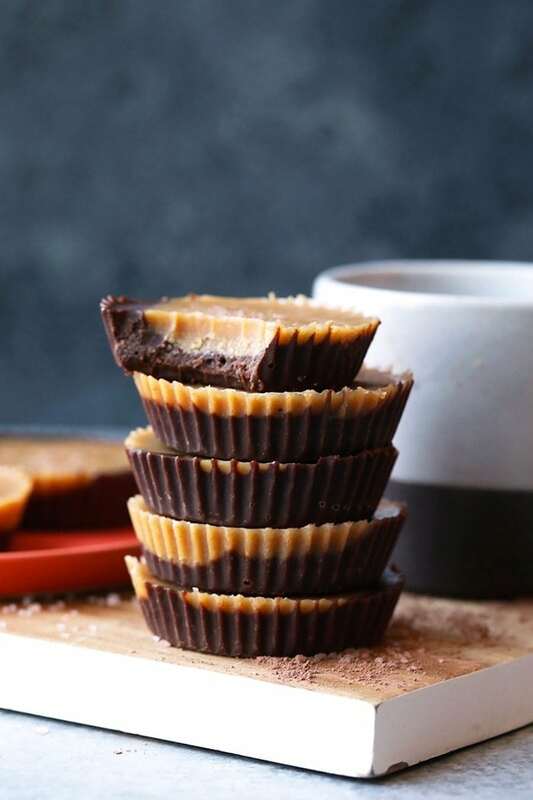 These healthy peanut butter cups double as a freezer fudge because, well, they’re made with coconut oil! They live in the freezer until you need to sink your teeth into them, but don’t worry, they don’t even need to thaw in order to eat them! Guess what else? They triple as a peanut butter fat bomb because they’re made with a peanut butter and coconut oil base, which make the healthy fats count super high. Here’s what you need to make these babes. PS: if you’re allergic to peanuts, you can sub any nut butter. Feel free to also use honey or agave in place of maple. 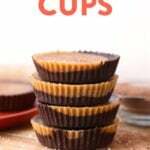 Since these are a fan favorite and have been made time and time again, I thought I would give some tips on how to have the most success when making these homemade peanut butter cups. 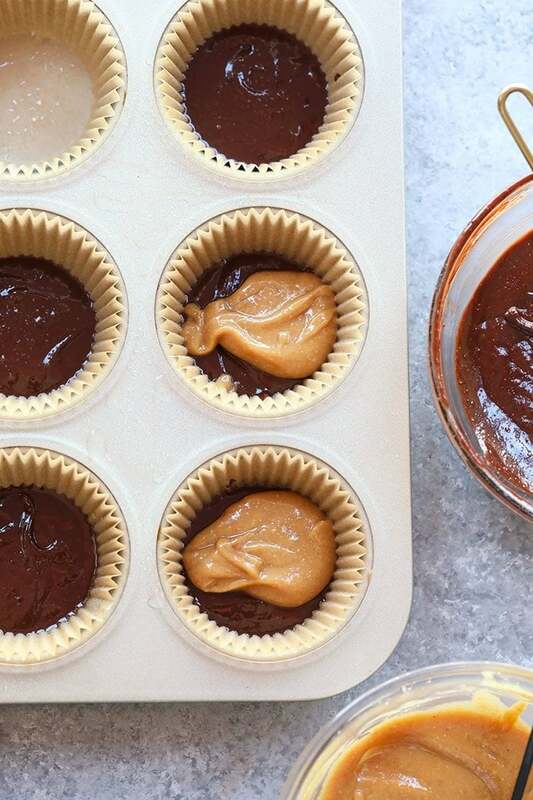 Storage: Once your peanut butter cups have frozen, we suggest transferring them out of the muffin tin and into a large, freezer-safe gallon-size bag and storing them in the freezer. This is what we do at least! They should last for about 3 months or longer. 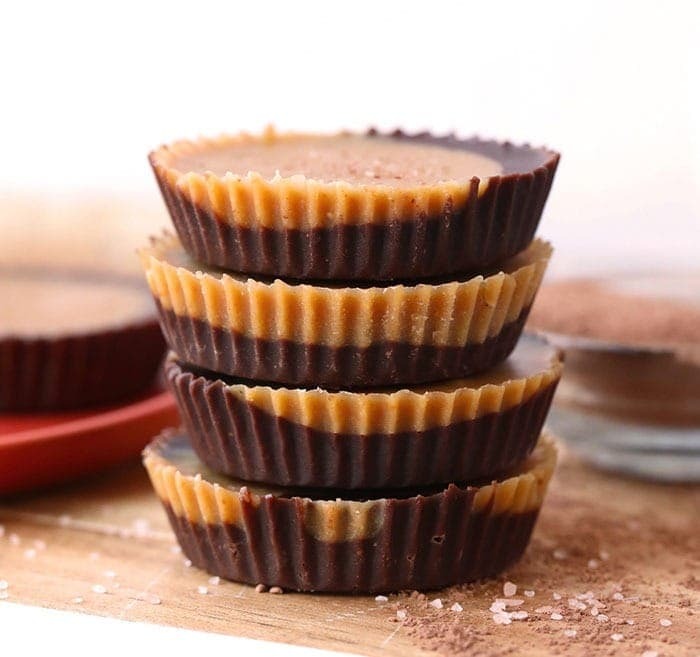 Coconut Oil: Unfortunately we don’t recommend swapping any other oil for the coconut oil in these healthy peanut butter cups. The only other alternative that I can think of is using extremely oily peanut butter, which essentially has more peanut oil in it than actual peanut butter! 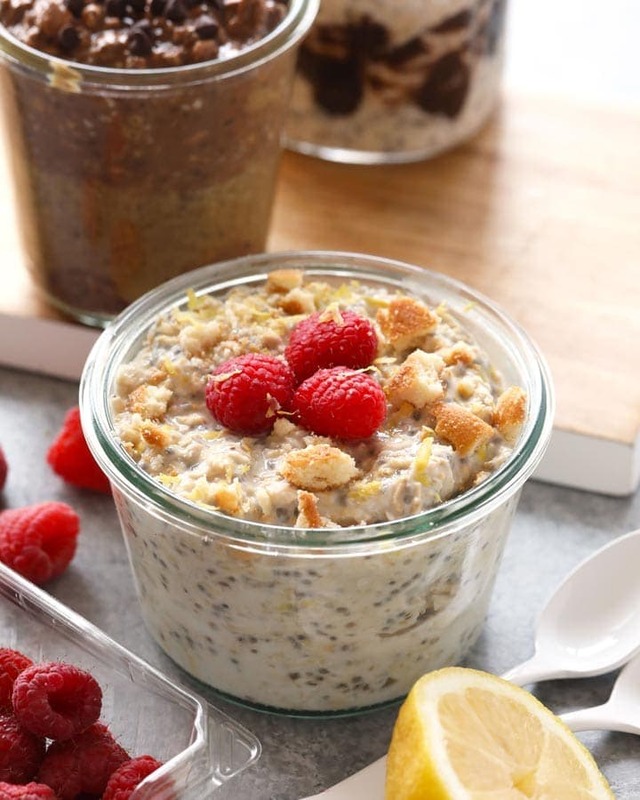 Peanut Butter: We recommend using an all natural, drippy peanut butter for this recipe. 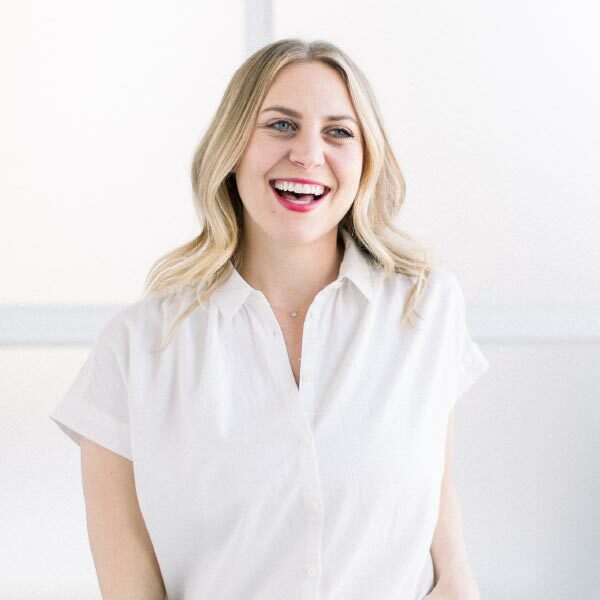 Brands we love include Smuckers All Natural, Trader Joe’s All Natural, or Fresh Thyme All Natural. 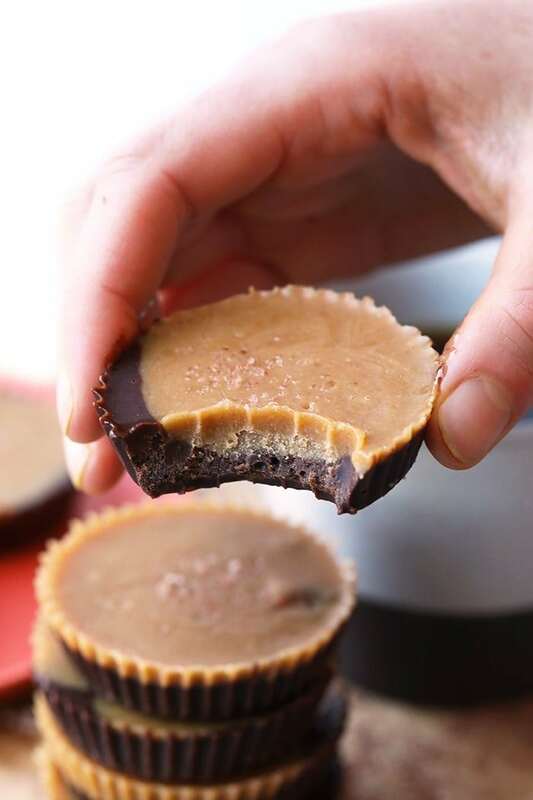 Freezer: You’ll notice in the recipe that these homemade peanut butter cups need to live in the freezer. This is because they are part coconut oil, which melts easily. With that said, these cups will last in the freezer for up to 3 months! 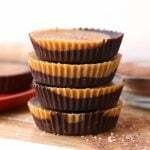 Consistency: If your peanut butter cups are too thick, add a tablespoon more of coconut oil. If they are too thick add a tablespoon more of peanut butter! Line a muffin tin with 12 muffin liners. Spray with coconut oil cooking spray and set aside. In a medium bowl, stir all ingredients for the bottom layer (chocolate) together until smooth. Set aside. In another medium bowl, stir all ingredients for the top layer (peanut butter) together until smooth. Set aside. Scoop a heaping 1/2 tablespoon of the chocolate layer into each muffin cup. Repeat until you’ve filled around 12 cups. Then, pick up the entire muffin tin and shake and tap until the layer is set evenly. You should get around 12 cups. Repeat the same thing with the peanut butter layer, plopping around 1/2 tablespoon on top of the chocolate layer. Pick up the entire muffin tin one last time and shake and tap until your cups are even. Finally, sprinkle each cup with some Himalayan sea salt. Place muffin tin in the freezer for 30 minutes or until firm. Enjoy! 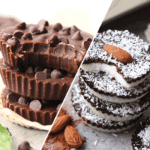 Store healthy peanut butter cups in the freezer to enjoy for later. 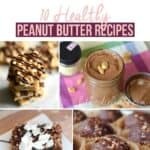 Make sure you are using an all natural, drippy peanut butter for this recipe. We recommend Smuckers All Natural, Trader Joe’s All Natural, or Fresh Thyme All Natural.